Hardy's Integrated Pest Solution, Inc.
Red Cap Exterminating Co, Inc.
Top Priority Pest Management, Inc. Comment: House mice inside our apartment. Comment: We have always had a few cockroaches but now itâs gotten really bad and we need it taken care of right away. We have a baby and a dog so it needs to also be safe for them. Comment: Have cockroach problem- need pest control. Comment: Is someone available this Thurs., Apr. 18, at approx. 5pm for a one-time extermination of my project? Please let me know. Many thanks. Comment: We have a mouse getting into apartment through the radiator. Need it removed and all holes fixed. Comment: I have swarming bees or wasps at the top of my house. New York Pest Control Services are rated 4.66 out of 5 based on 1,104 reviews of 23 pros. 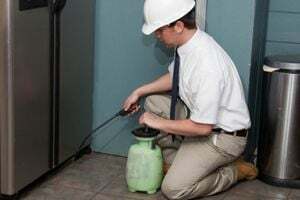 Not Looking for Pest Control Contractors in New York, NY?